The McHenry County judge presiding over the high-profile involuntary manslaughter case of former Mayor Richard M. Daley’s nephew averted financial disaster six years ago when she divorced her husband, a since-disbarred attorney who owed $750,000 in judgments to law clients and the IRS, according to interviews and records obtained by the Chicago Sun-Times. Circuit Judge Maureen P. McIntyre got most of the couple’s assets, including their Barrington Hills home, though her ex-husband, Raymond X. Henehan, continued to live with her, records show. McIntyre, 65, didn’t respond to calls seeking comment at the McHenry County courthouse in Woodstock, where she is a juvenile court judge making $181,929 a year, nor to questions sent to her by certified letter. Henehan, 64, who was stripped of his license to practice law in 2009 for misdeeds including misappropriating nearly $100,000 of clients’ money, couldn’t be reached. McIntyre has been presiding since Jan. 4 over the criminal case against Daley nephew Richard J. “R.J.” Vanecko, who is accused of causing the death of David Koschman by striking the 21-year-old Mount Prospect man during a drunken encounter on Division Street near Dearborn in 2004. Koschman fell, hit his head and died of brain injuries 11 days later. His death remained an unsolved homicide until a series of reports in the Chicago Sun-Times prompted the appointment last April of former U.S. Attorney Dan K. Webb as special prosecutor to reexamine the case. That resulted in Vanecko’s indictment on Dec. 3. Webb continues to investigate whether criminal charges should also be filed against anyone in the Chicago Police Department or Cook County state’s attorney’s office, which twice declined to charge Vanecko. Vanecko’s case was first assigned to Cook County Circuit Judge Arthur Hill Jr., but he stepped aside, citing ties to the former mayor, whom Hill had worked for as a prosecutor when Daley was Cook County state’s attorney. Webb then sought the appointment of a judge from another county, arguing that many Cook County judges have ties to the Daley family. Chief Cook County Judge Timothy Evans agreed. He turned to the Illinois Supreme Court, which assigned the case to McHenry County, where Chief Judge Michael J. Sullivan gave it to McIntyre. Sullivan had approved a $30,000 judgment against McIntyre’s ex-husband on March 3, 2008, in a case involving estate taxes Henehan was to have paid for a client, records show. It’s one of the debts Henehan still hasn’t repaid to his former clients. The Illinois Supreme Court won’t say why it selected McHenry County, and Sullivan won’t say why he chose McIntyre to preside over Vanecko’s trial. Henehan was the first-born child of a bar owner and housewife living in East Garfield Park on Chicago’s West Side. The family moved to Glenview in the late 1950s. His father later was an engineer for the Cook County Highway Department. His mother worked in the Cook County assessor’s office. Both parents, now dead, retired in 1981. The mother, Dorothy Henehan, ran for state representative in 1974, losing to incumbent Harold A. Katz of Glencoe in the Democratic primary. McIntyre – a native New Yorker born to Irish-immigrant parents who has a bachelor’s degree from Fordham University in New York City – and Henehan were classmates at IIT-Chicago Kent College of Law when they married on Aug. 30, 1975. They both were licensed to practice law in May 1976. 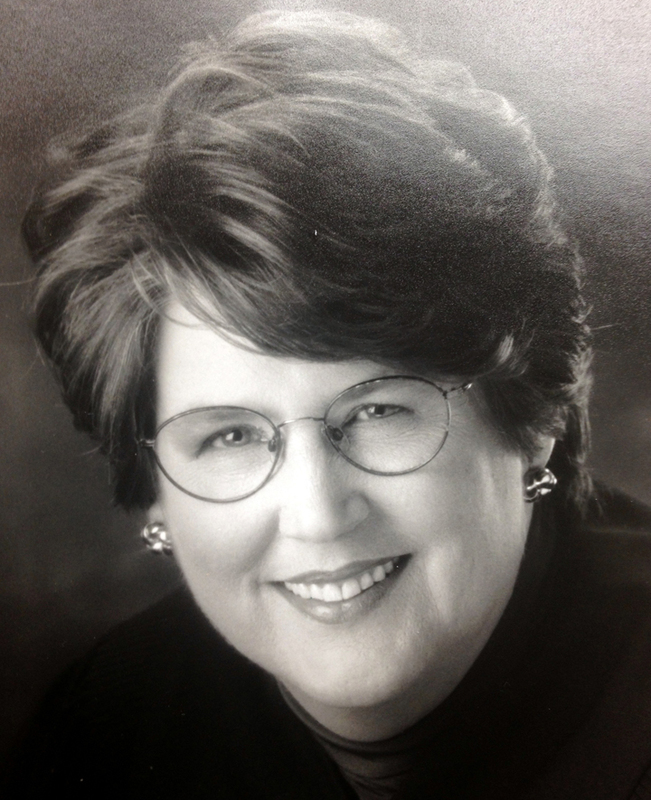 McIntyre worked for a law firm in the Loop before opening a law practice in Cary with her husband: Henehan & McIntyre Ltd.
McIntyre and Henehan, who have four grown children, bought their four-bedroom house on a one-acre wooded lot in Barrington Hills in 1997, soon after McIntyre was appointed an associate judge, a temporary post. She ran for circuit judge and was elected in 2000. That year, records show, McIntyre’s husband began engaging in a series of financial transactions with clients that ultimately would lead to a trail of lawsuits and his disbarment for misappropriating money from clients. On Oct. 15, 2003, McIntyre and Henehan changed the title to their home, placing it solely in her name, though the mortgage remained in both their names. At that time, Henehan had two delinquent loans totaling $493,250 from Earl Matthiesen, a former client in his late 80s, records show. Henehan also had misspent most of $89,852 he had received from John and Lana Mikals, a hearing-impaired couple in their late 50s who had hired him to resolve a tax dispute with the Internal Revenue Service, Illinois Supreme Court records later revealed. * On Feb. 6, 2006, an Iowa woman named Joyce Bloedel filed a complaint with the Illinois Attorney Registration and Disciplinary Commission, the arm of the Illinois Supreme Court that licenses lawyers, saying she gave Henehan $17,379 to pay estate taxes after her mother’s death but that he never did. * On Feb. 27, 2006, James Stralina filed a complaint with the ARDC, saying he’d paid Henehan $640 to file a bankruptcy case that the lawyer never filed. * On March 31, 2006, the IRS filed a $6,396 lien against Henehan’s law office in Cary, a building owned by McIntyre and Henehan. Over the next four months, the IRS hit Henehan with two more liens, for a total of $21,110, all for failing to pay employee withholding taxes. The liens eventually were paid off. * On June 27, 2006, Henehan used the law-office building as collateral to keep a former client, Snap Edge Corp. in St. Charles, from collecting on a $150,000 loan that was seven months overdue. Henehan gave the company a legal document purportedly signed by his wife, saying she agreed to give her interest in the property to Snap Edge. McIntyre later told Snap Edge’s lawyers she never signed that document. * On June 28, 2006, Henehan was to appear before the ARDC but got his case postponed. Weeks later, his attorney, William Martin, withdrew from the case, records show. Martin’s son, Marc Martin, is one of Vanecko’s lawyers in the Koschman case. * On July 7, 2006, Earl Matthiesen, by then 91, sued Henehan in Cook County to collect four delinquent loans totaling $546,000 made to the lawyer between 2000 and 2004. * On July 24, 2006, McIntyre filed for divorce at the Boone County courthouse in Belvidere, west of McHenry County. The divorce became final on Sept. 20, 2006, with McIntyre getting most of the couple’s assets, including their house. She agreed to pay off four of her husband’s credit cards and gave him full ownership of the law-office building. The couple had three timeshare condos – in Kissimmee, Fla.; Gulfport, Miss., and northwestern Michigan – which the judge got and still owns, according to her latest financial disclosure statement to the Illinois Supreme Court. * On Sept. 29, 2006, McIntyre had a 12-minute conversation with a Snap Edge attorney regarding the ownership of Henehan’s office, court records show. Eleven days later, Snap Edge sued Henehan to collect the delinquent loan – a case the Supreme Court assigned to a judge outside McHenry County. * On Dec. 6, 2006, Henehan turned over ownership of his law-office building to Snap Edge to pay off the loan. * On Dec. 21, 2006, a Cook County judge awarded Matthiesen $471,534 when Henehan didn’t show up in court. Matthiesen died a few months later. His estate is still trying to collect the money – the largest of Henehan’s unpaid debts. The ARDC filed its disciplinary case July 16, 2007, accusing Henehan of misspending nearly $100,000 from two clients – the Mikalses and the estate of Bloedel’s mother – and failing to file Stralina’s bankruptcy. The Supreme Court disbarred Henehan as of Jan. 20, 2009. Four months later, it ordered him to pay $1,000 in court costs within 30 days. Henehan never paid that judgment, prompting the high court to file a lien against him that lists him living at McIntyre’s home. State officials say they don’t know what happened to the money Henehan got from the Mikalses and Bloedel. Henehan represented himself in the disbarment proceeding, which he initially fought, asserting he’d repaid his clients. In the end, he agreed he shouldn’t be allowed to practice law. Three of his clients got payments from the ARDC’s Client Protection Program, which is financed by lawyers and gives victims of disbarred attorneys as much as $75,000 each. Matthiesen’s estate got $75,000, Bloedel’s mother’s estate got $17,379, and Stralina got $640. McIntyre continues to list Henehan on the economic-interest statements she files with the Supreme Court as one of three people who “could create conflicts of interest” for her as a judge.